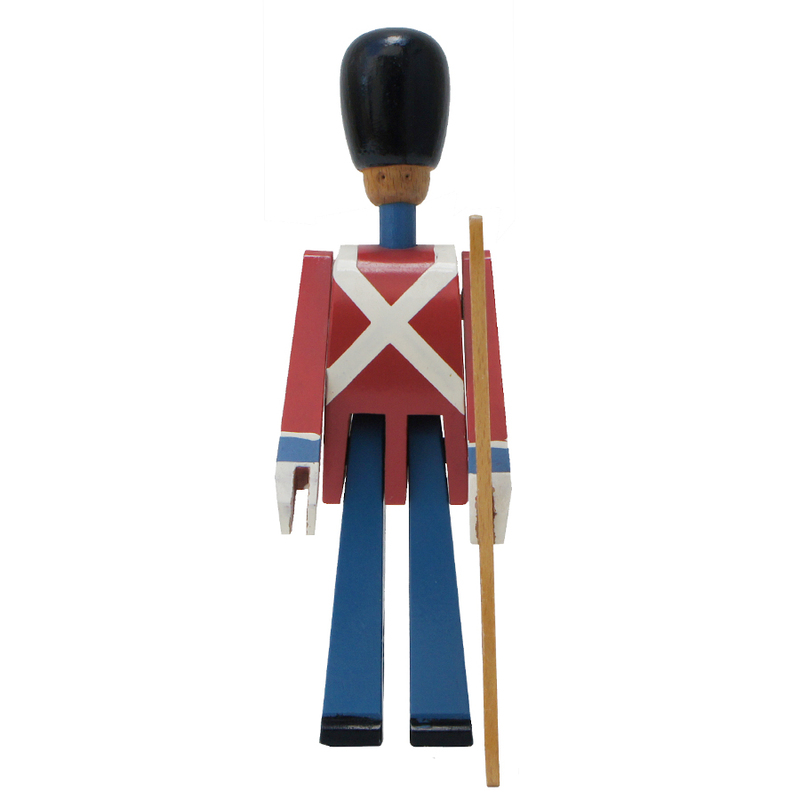 This Danish Royal Guard with rifle was designed by Kay Bojesen. 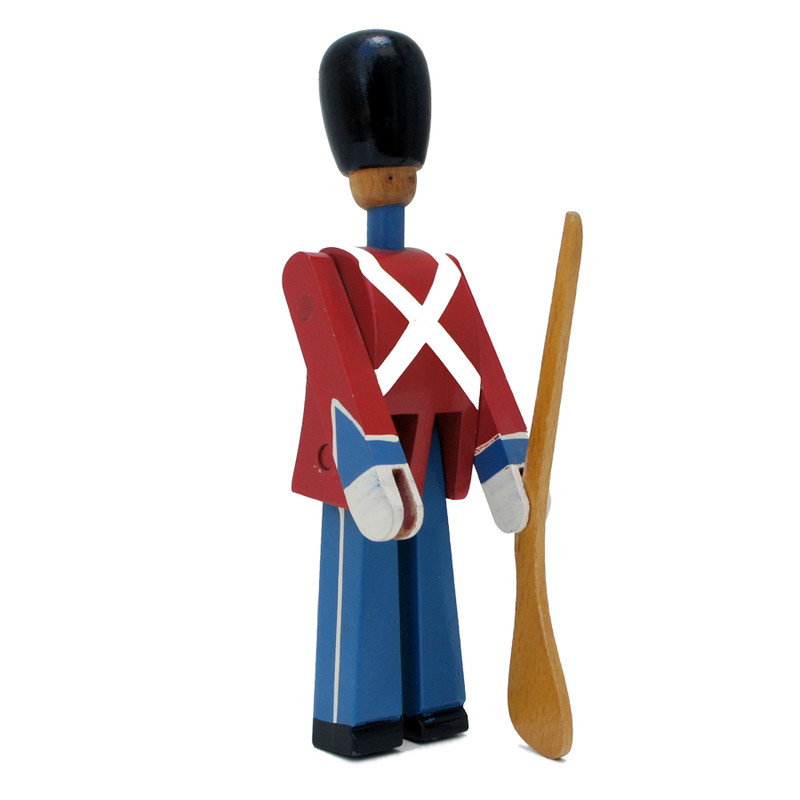 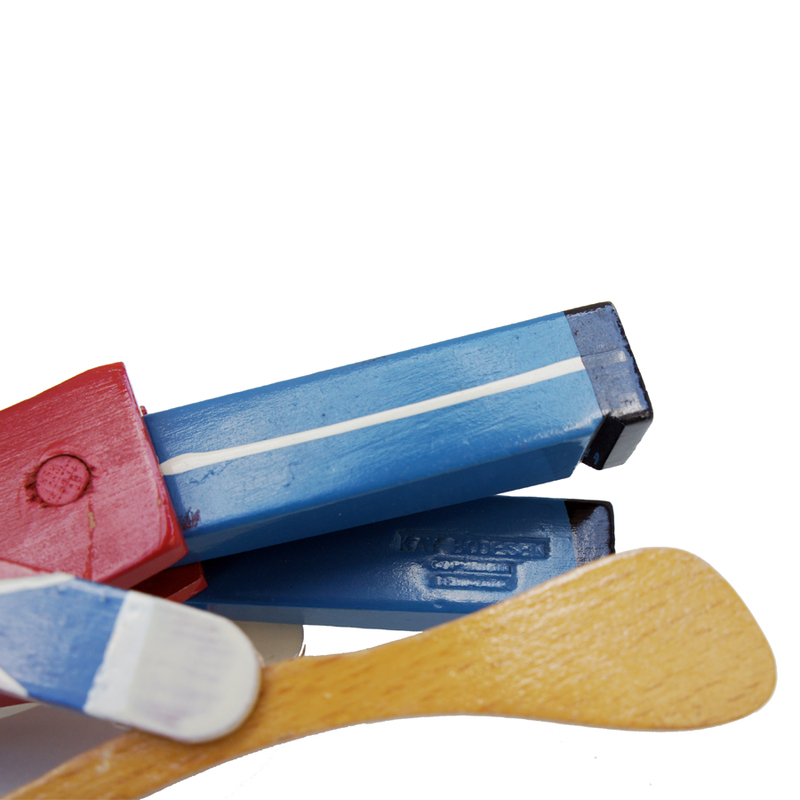 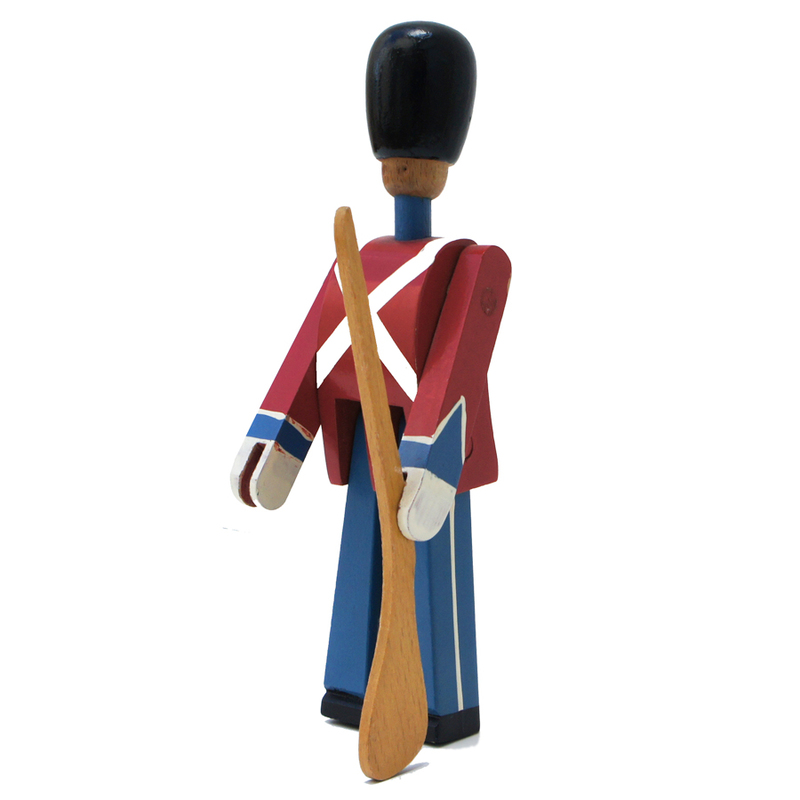 Kay Bojesen, whose small shop is installed near the royal residence, sees the Royal Guard passing every day, who inspired this wooden toy. 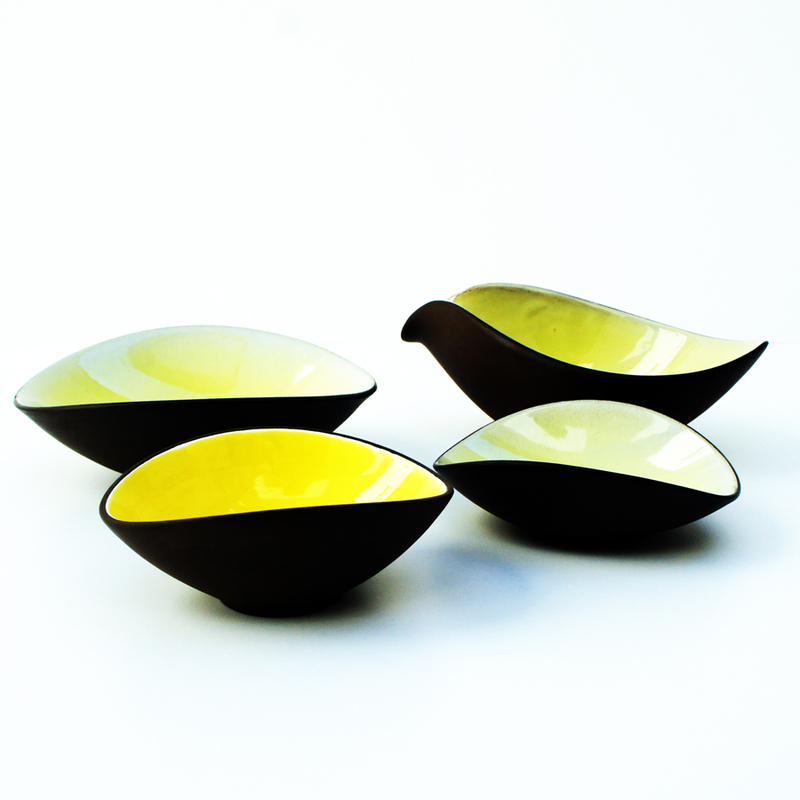 A set of four vintage Andreas Kastl bowls in different yellow shades, handmade in Germany. 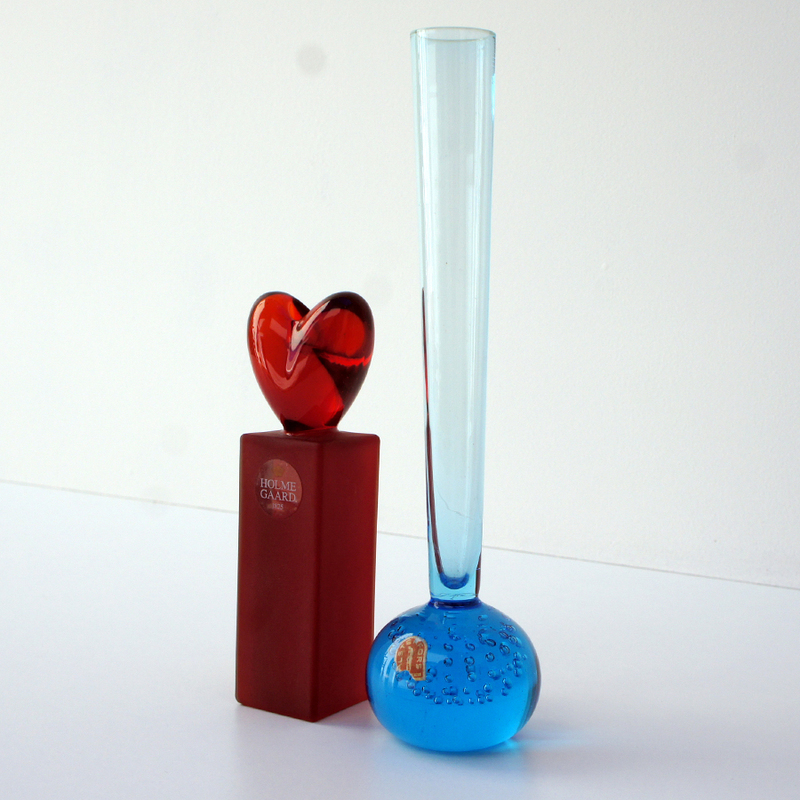 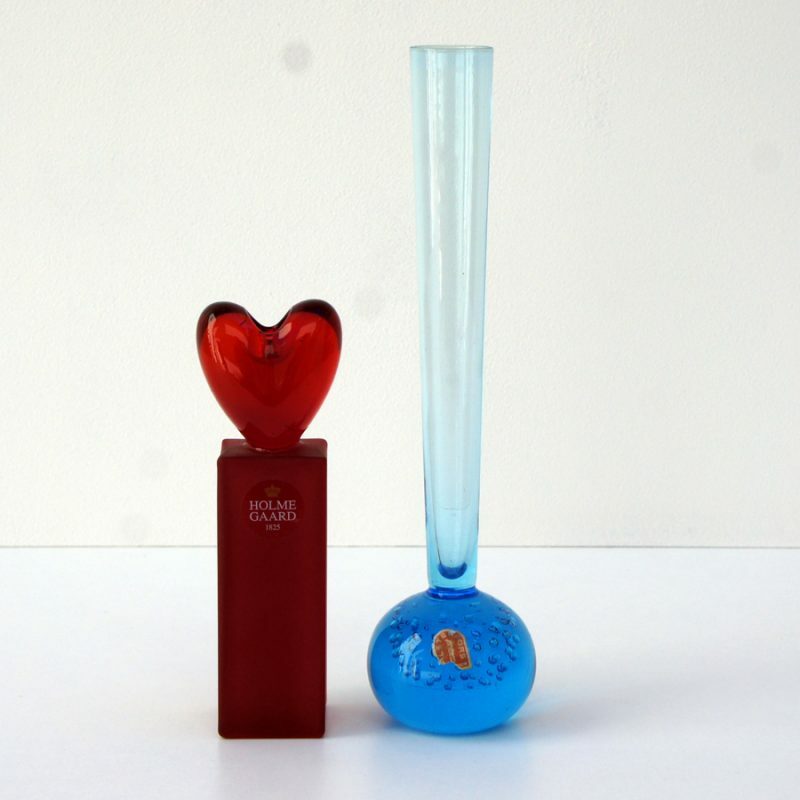 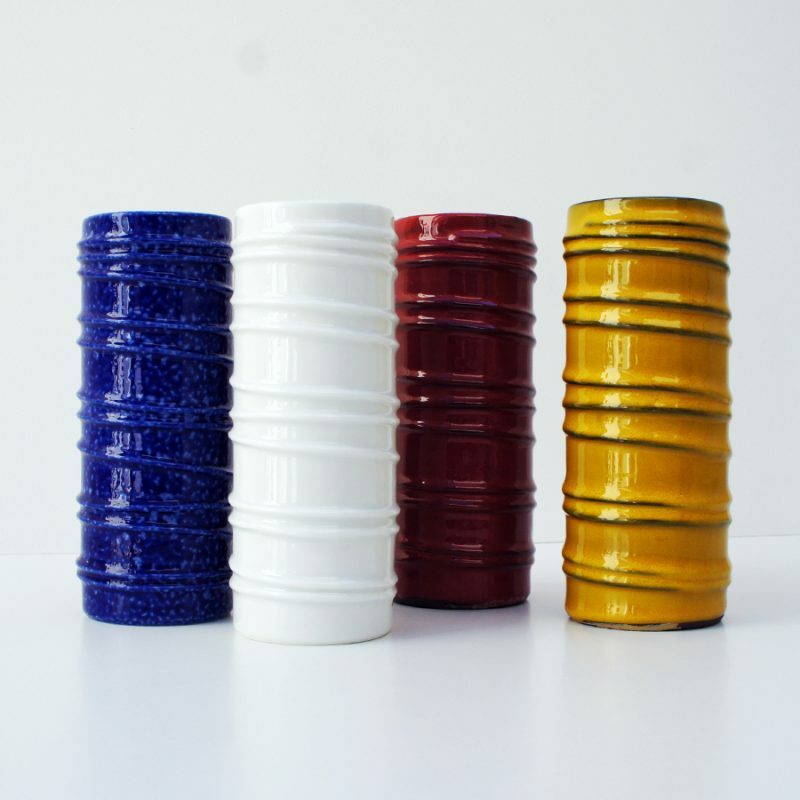 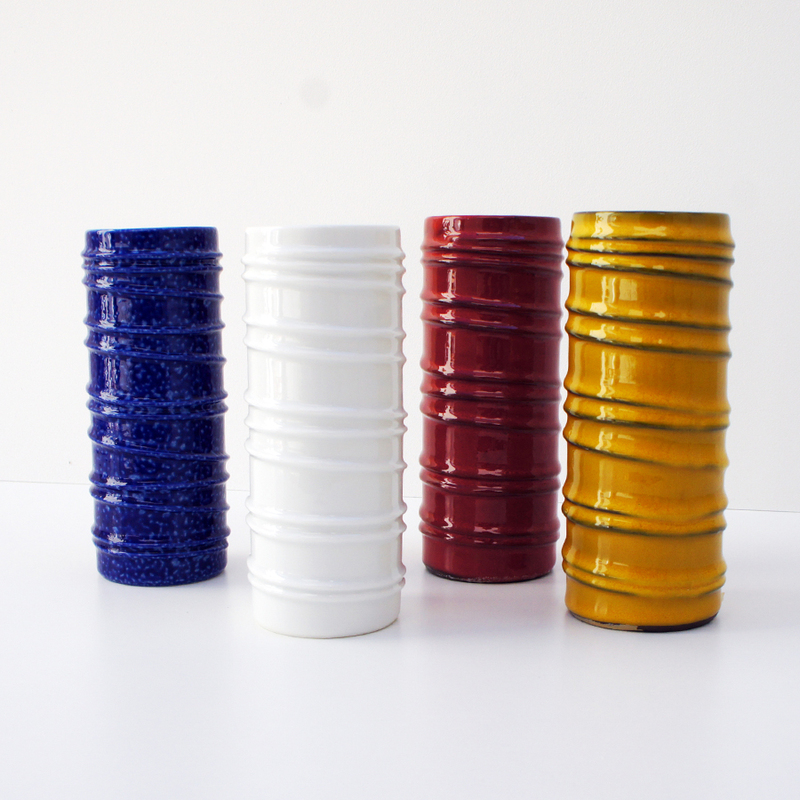 A set of four vintage Mellita vases in white, yellow, blue, and red ceramic, made in Germany. 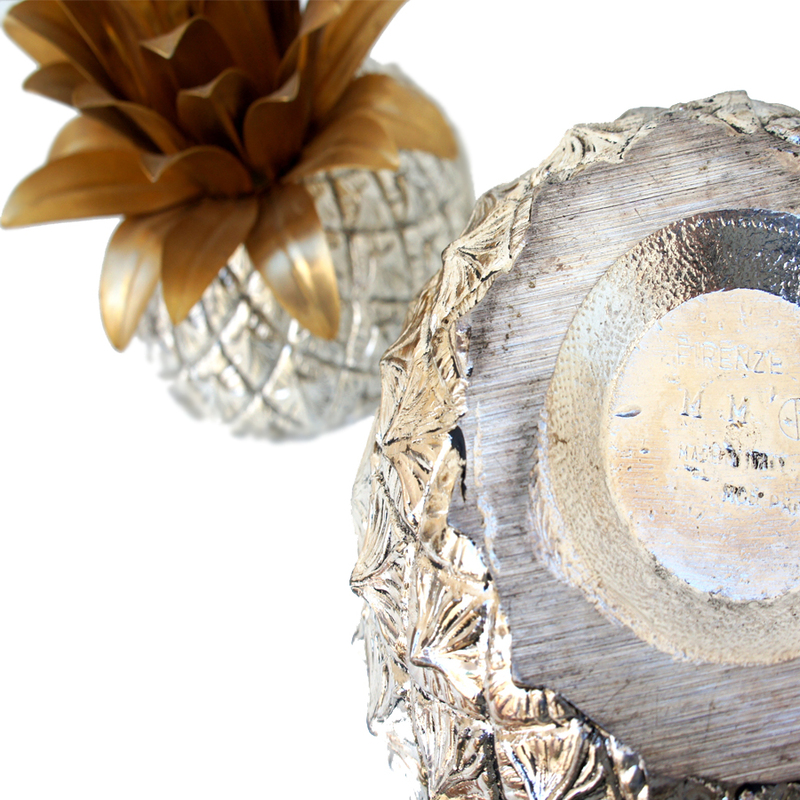 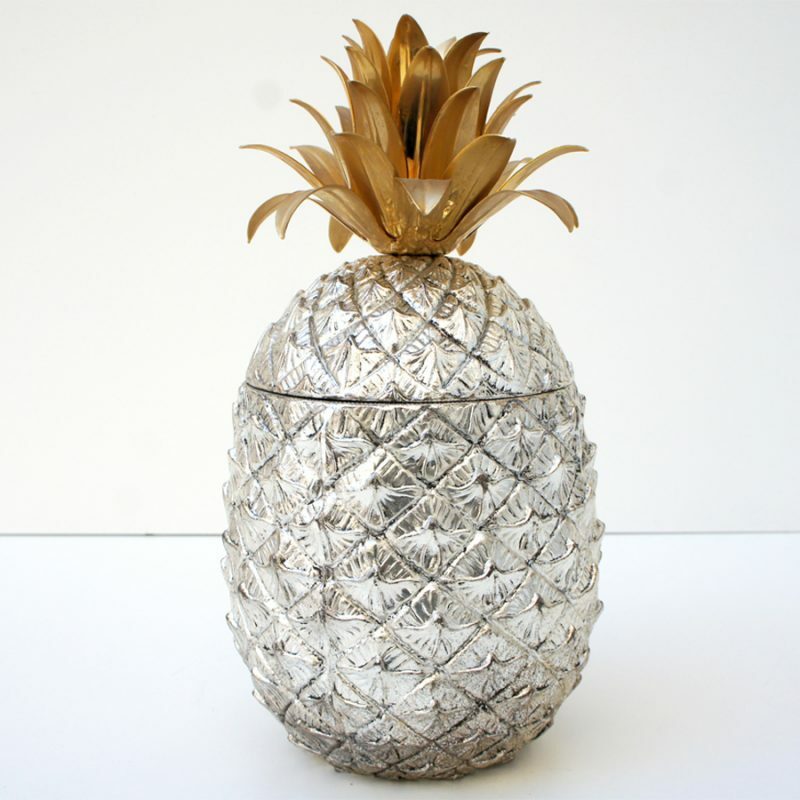 This pineapple ice bucket was designed by Mauro Manetti for Fonderia d'Arte in Florence, Italy. 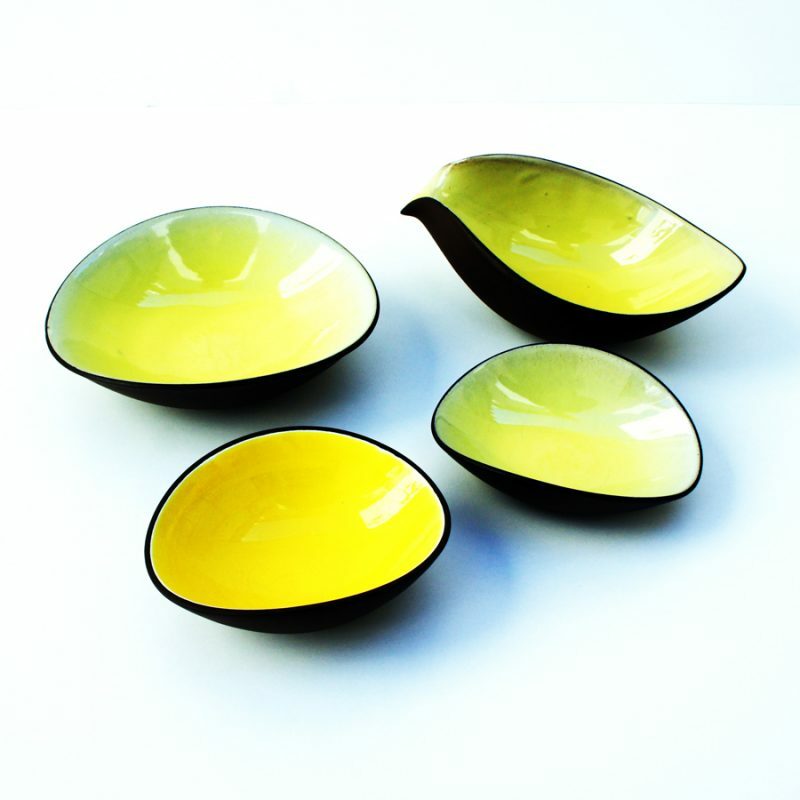 It is handmade from silver-plated and gold metal.